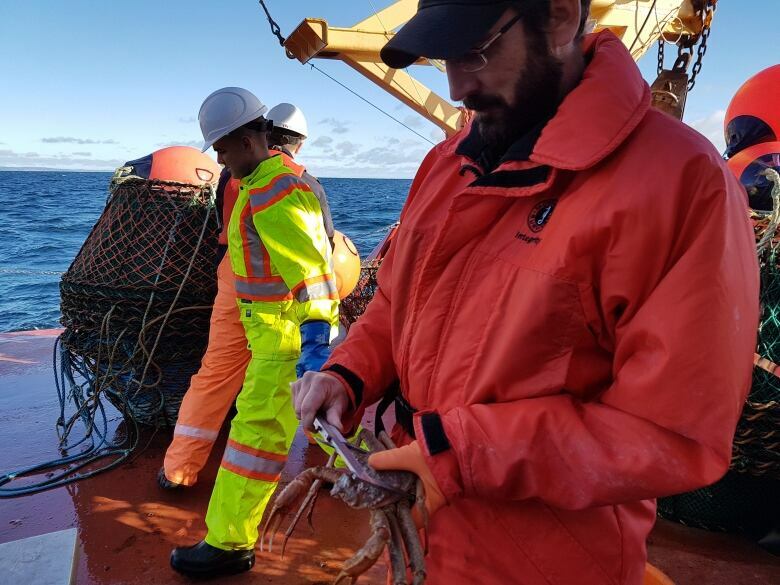 A study six years in the making shows some grim statistics for snow crab in Newfoundland and Labrador. 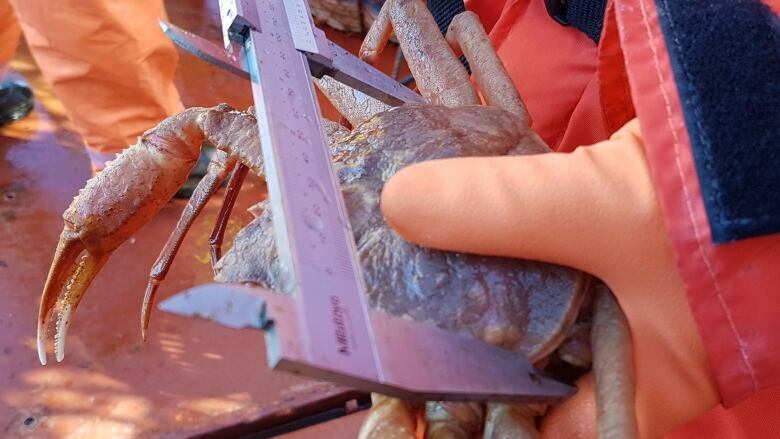 The study was released at the same time the Department of Fisheries and Oceans announced the crab fishery was moving to a precautionary approach. That means if the crab numbers are low, the total allowable catch will be lowered, meaning less fishing for the province's harvesters. 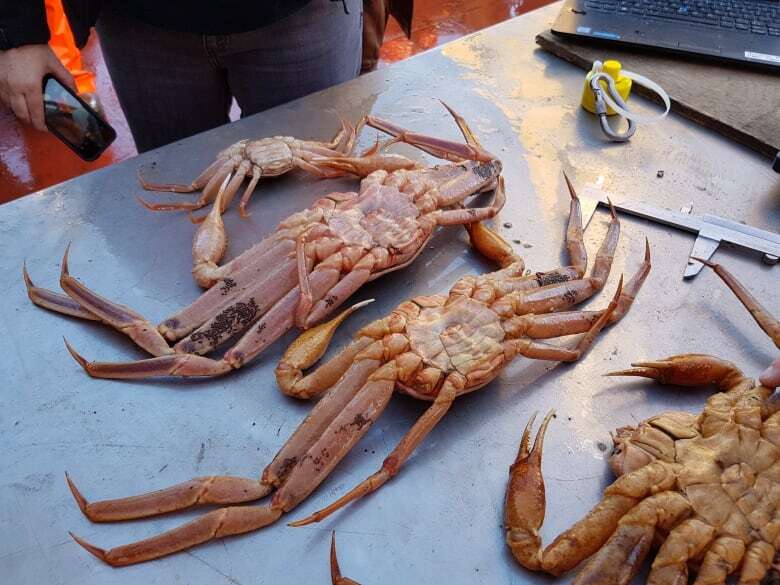 According the Darrell Mullowney, a DFO scientist working on the study, the change comes at a crucial time in the crab fishery. "As [the number of crab] has gone down, the exploitation rates have gone up in some areas," he told CBC's The Broadcast. "We are concerned as a science branch about the state of crab. We are not sure that it can continue to sustain the levels of fishing pressure that have been imposed upon it in recent years particularly in some of its biggest and most important areas where the majority of the stock lies." Over the last few years, biomass numbers have gone down in many areas around the province, Mullowney said. Their study did not use a single indicator to gauge the health of the industry, but instead used a multi-indicator approach looking at things like female egg clutches, catch rates and discard rates. While Mullowney doesn't make the decisions on stock management, he said he doesn't mince words when speaking with crab harvesters. "I generally try to, as much as I can, tell it as it is.… You have to work off of truthful information even if it's inconvenient." DFO managers will hit the road at the end of November to meet with the men and women making a living in the industry. They'll hold meetings in St. John's, Clarenville, Gander and Port Hope Simpson. Despite the change in fishery management and the findings of Mullowney's report, there has been one recent success in the industry. Area 3Ps, located off the island's southern coast, saw a crash in total allowable catch from 2014 and 2017. But as the quotas went down, the health of the stock improved, Mullowney said. In 2018, the total allowable catch went up slightly, from 1,505 tonnes to 1,792 tonnes. "They seem to be a bit of a good news story in the broader pictures in terms of seeing some bounce back, whereas these other areas like 3L in particular seem to be arriving at a place where 3Ps was a few years ago," Mullowney said. "Just because we're out here saying we're concerned about the status of the stock, doesn't mean it's necessarily game over."